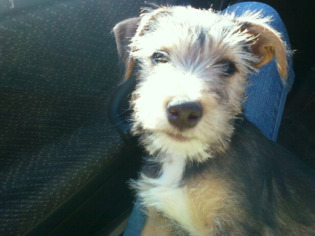 I have a jack russell-schnauzer mix named whiskey. One day, I was babysitting my two nephews, one happens to be an infant which makes whiskey very jealous. I had just picked up my nephew out of the car seat, i wasn't gone two minutes and when I came back whiskey had climbed into the car seat and had the pacifier in his mouth just like a baby. I have never laughed so hard.